Located in the old wing of 1 Utama just opposite Mothercare (yes, I was always at this store when shopping for mummy's clothes and all for Janice), Infusion: Specialty Coffee Co is this brightly lit chill out spot serving some rather good specialty coffee among other drinks and beverages. 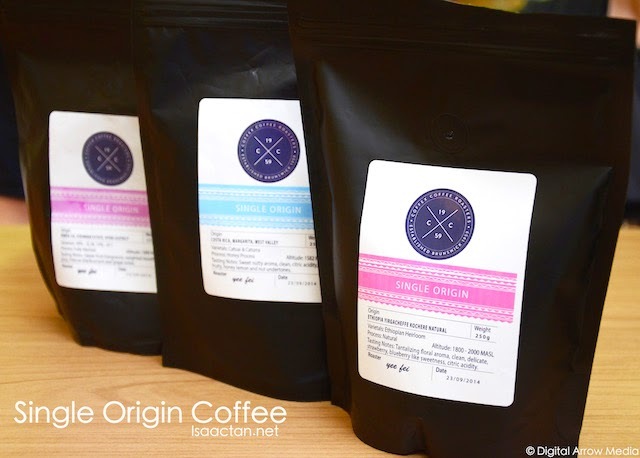 We were there the other day to try out their coffee as part of the #CafeHoppingMalaysia project. Check out what we had that evening. 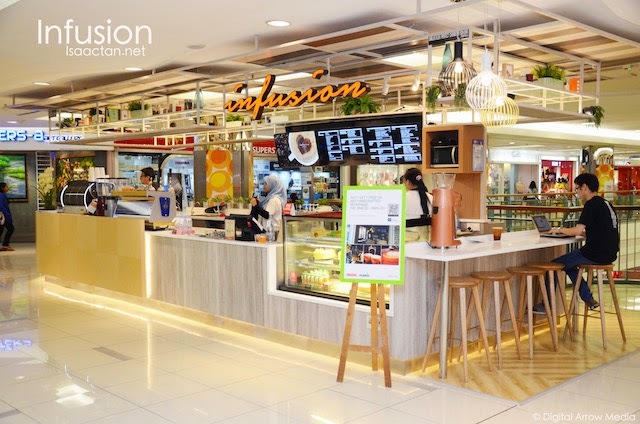 Located in a very accessible corner of the old wing of 1 Utama Shopping Mall, the first thing that caught my eye about Infusion was the very orange signage as well as the brown and orangey theme of the whole place. Occupying the middle would be where we could order our drinks and beverages while the two sides would be where the sofas, tables and comfy chairs were at for us to chill out and enjoy our coffee at. Arriving at Infusion with fellow coffee lovers and foodies, we didn't waste much time delving and ordering their range of coffee. The owner of Infusion takes his coffee business very seriously, taking a lot of effort and time to explain to us the know-hows and educating us a bit more about the differences between a good cup of coffee, brewed ones, and many more stuff. 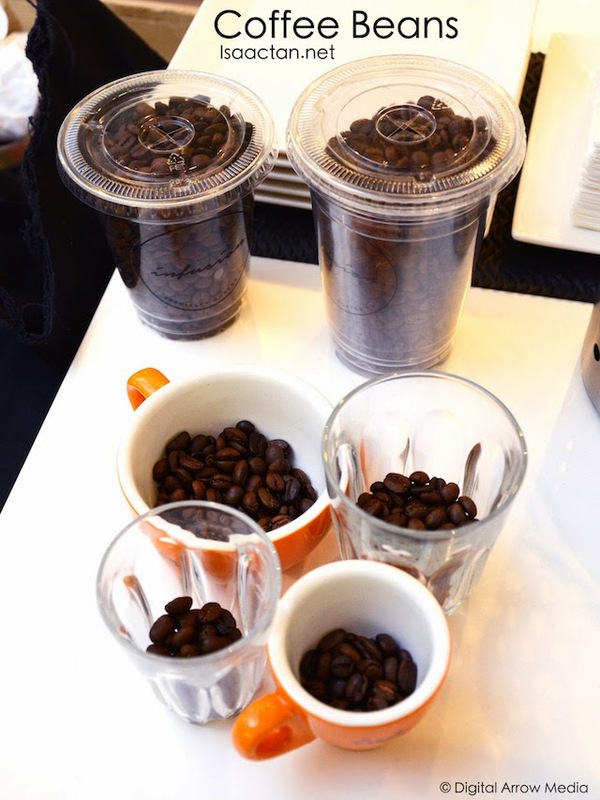 Shown above were two of the coffee drinks coffee aficionados love to order, namely the Flat White and the Espresso shot, which comes in single, or double shots according to the diner's preference on whether they want a stronger taste or not. Served in these cute yellow cups and coffee plates with Infusion inscribed, it's hard not to like the presentation of these drinks. 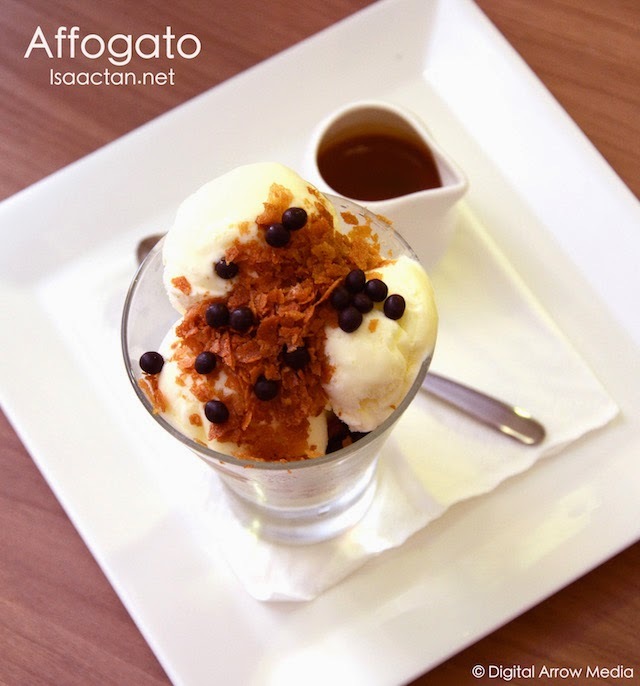 For the more adventurous folks, do try out their Affogato on top of the more usual Cafe Latte. Infusion's Affogato was served with the espresso shot separated from the ice cream with condiments on the side. 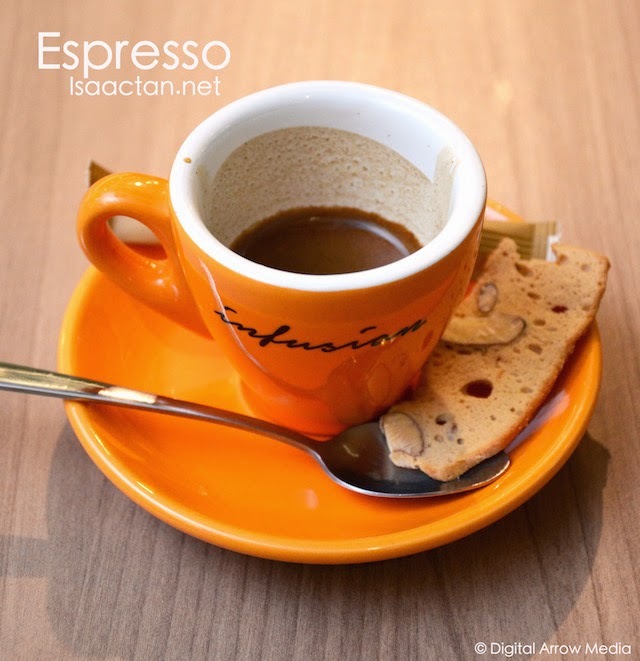 Drizzle on the espresso on top of the ice cream, and have it while it's hot on top, and cold inside. Really good stuff, something which I've come to love after my numerous cafe hopping visits around Klang Valley recently. chocolate bits and flakes on the side. 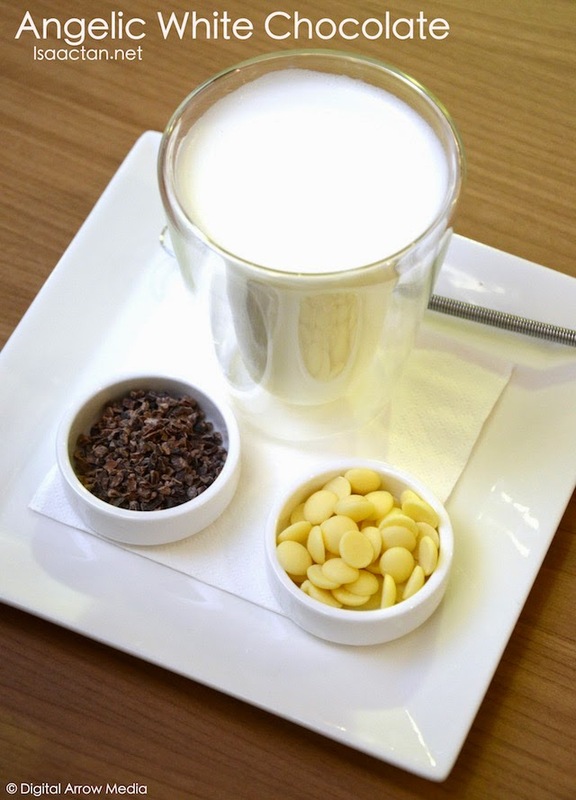 Combine the chocolate and crunchy bits in to your liking, and you have a drink both smooth yet with that extra bite, just the way I like. 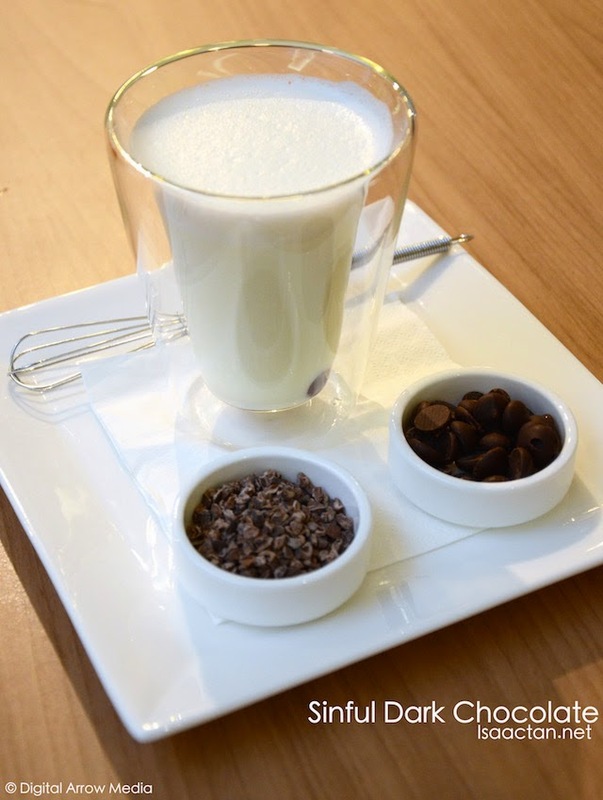 Now I'm a big fan of hot chocolate with milk, so this was one of my favourite beverage at Infusion that evening. 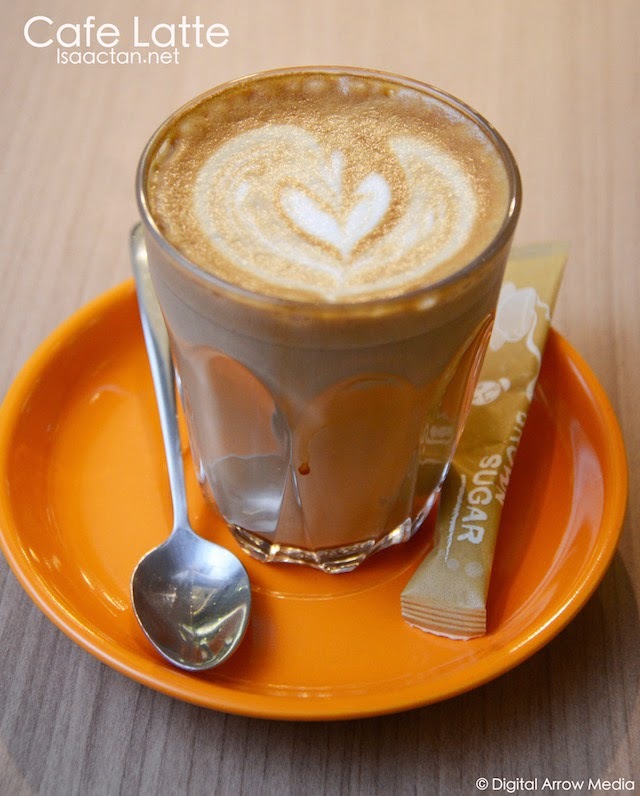 If you like your coffee cold, then do try out their range of Iced Beverages, serving a variety of iced coffee from the black coffee, cafe latte, iced chocolate and the very unique and special Aussie Iced Coffee. The price ranges from RM10 to RM16 per cup depending on the iced beverage chosen. 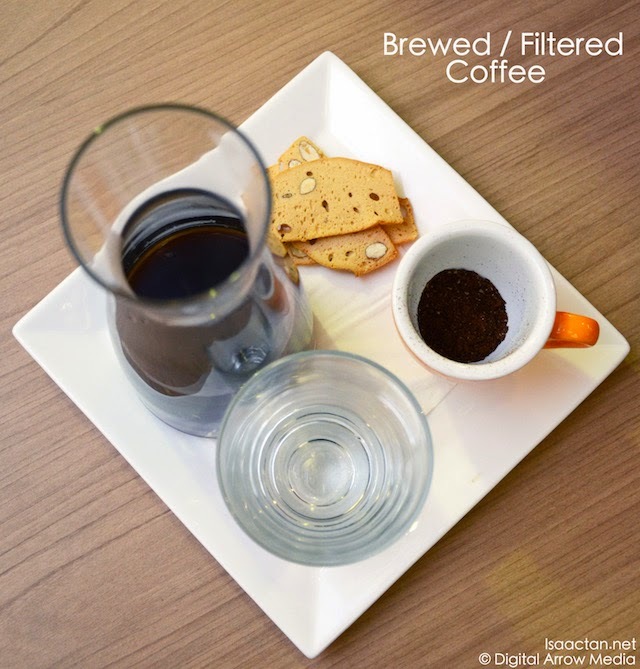 The barista and owner of Infusion showed us how his Brewed and filtered coffee was prepared, ranging from the ones filtered via Aeropress, Chemex / V60, or Syphon. It was an interesting affair, where we got to try out the final product. Bitter with a sweet aftertaste, that's what I thought of the drink, almost similar to the single origin beans that they are offering. On top of their range of coffee and beverages, Infusion do serve some light bites as well, in the form of cakes and macarons. 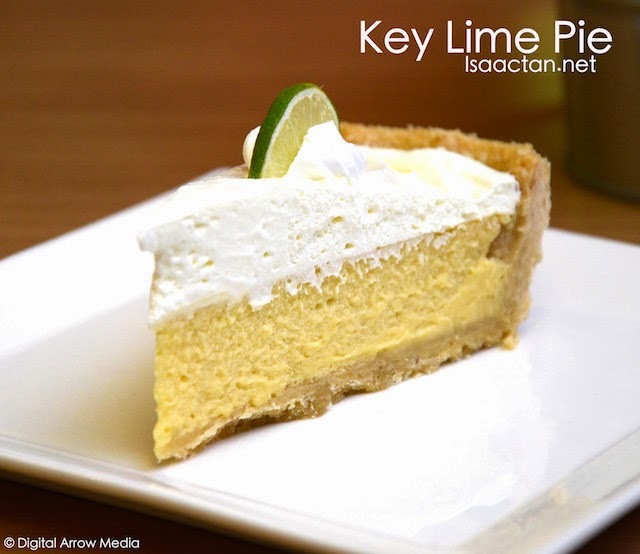 We got to try out their Key Lime Pie, Red Velvet Cake and the Vanilla Mille Crepe. Now I'm a fan of everything sweet, hence these cakes hit the right spot. 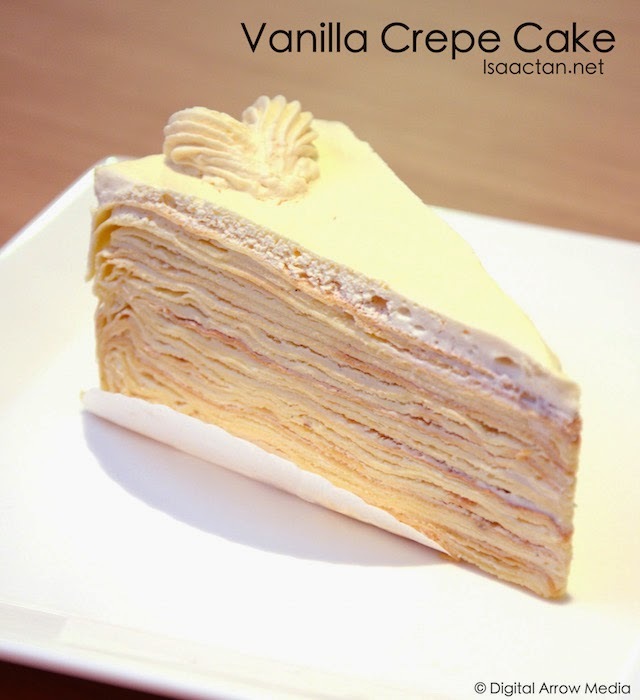 The mille crepe had a tad too much cream in it though, but the layers were done up nicely, separating on the first bite. 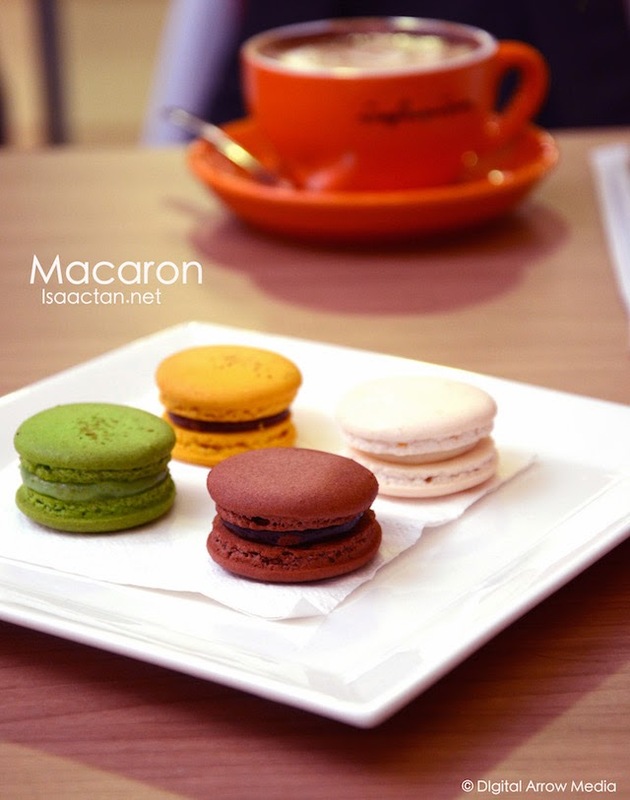 Macarons at RM4.50 per piece for regular flavours, RM5 for seasonal flavours and RM7 for the musang king durian flaour. 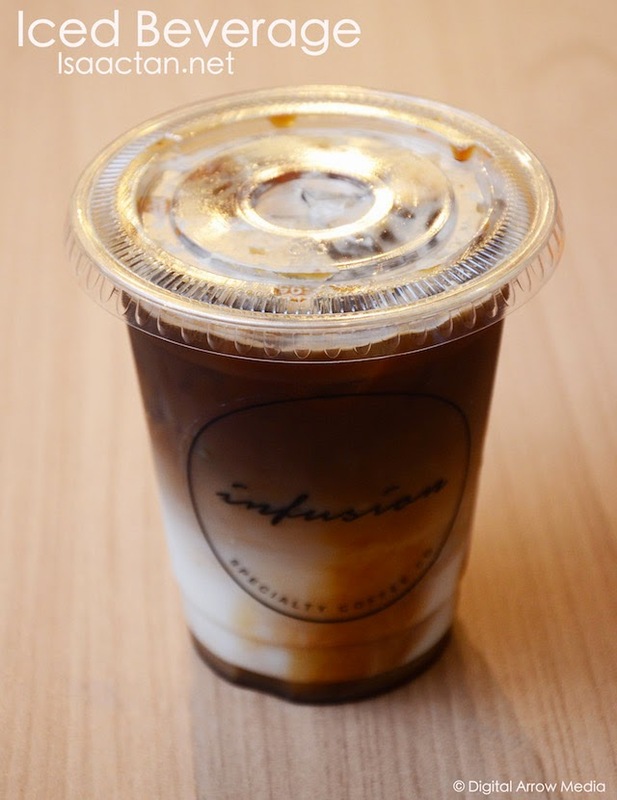 It was a nice relaxing evening out with friends at Infusion 1 Utama, being the perfect go-to coffee spot for shoppers to have a quick bite and coffee in between their shopping spree. 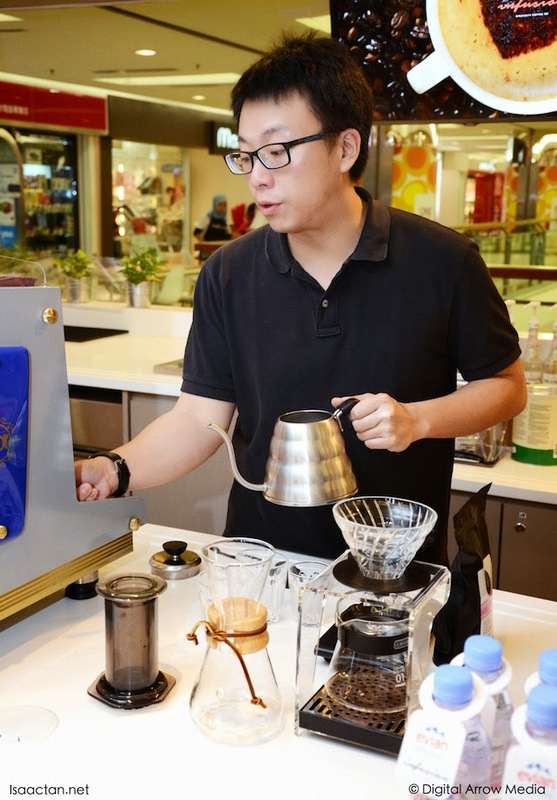 Do check them out the next time you are out shopping in 1 Utama. 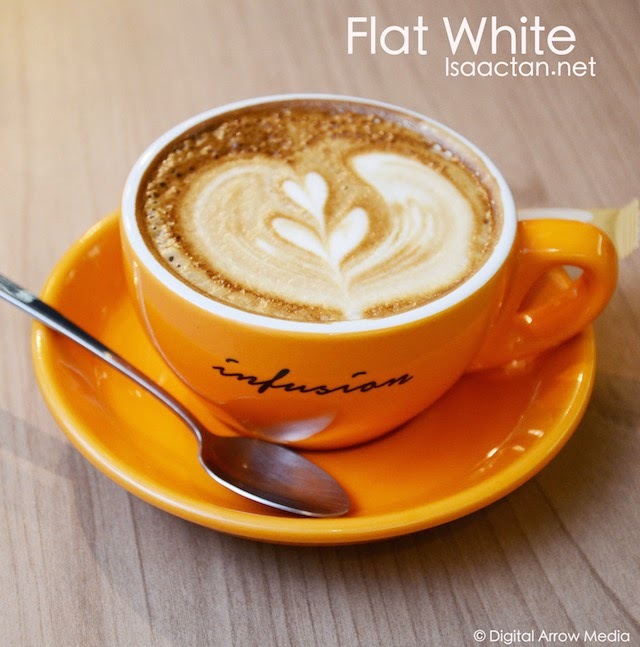 Infusion is offering a Buy 1 Free 1 promotion during the ‪#‎cafehoppingmalaysia campaign‬ this 1-15 November 2014. 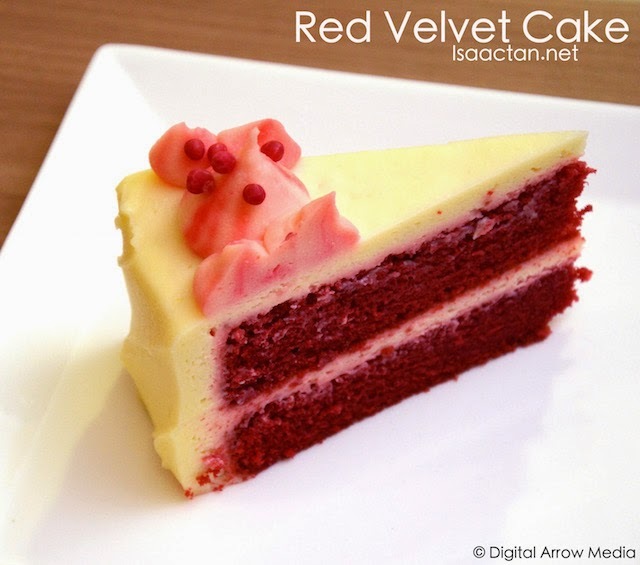 Oooo...red velvet!!! One coffee, please! Black...and strong! P.S. : I wonder what the guy's name is. Looks like one of my students at BB Boys, PJ once, Jimmy something. No, not possible, he would be very old by now - 1986 Form 2. Haha. I was born in 1986 actually. Feel free to drop by!